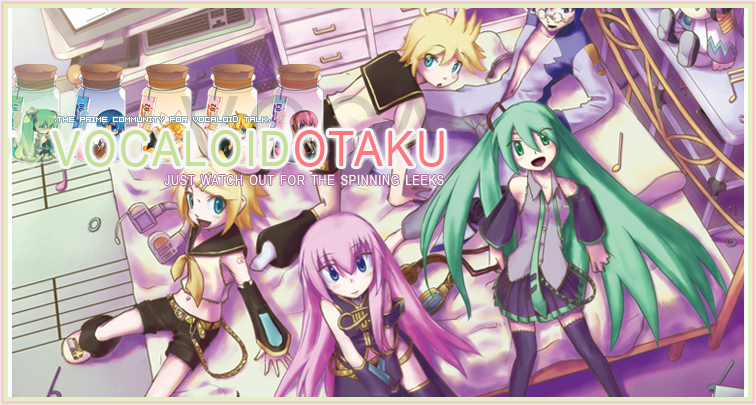 Pokemon – Vocaloid – 2 heavy Japanese created industries that are loved across the world. This isn’t going to be which Vocaloid would be which Pokemon… although, that is a cool idea. This is about the theory that the disks called Technical and Hidden Machines, (TM’s & HM’s) are actually songs listened to by the Pokemon to learn a move. This is not canon at all, but it is fun to see which songs would actually be attributed to the move. I wanted to choose something perfect… and what better song than about bravery and named Spike? This is all my opinion of course, but Xenon is a master at honing your accuracy of how you listen to music at how holistically fast it is. It’s amazing. With lyrics like: “Defeat is unacceptable. There must only be more victory. Lose to no one, just keep polishing that blade. Never accept pity. The pulse can never stop. Train your ear to the rules of the battlefield.” I honestly think this is the perfect song for Hone Claws! This song is a bit more aggressive than the rest of the dragon songs at which it fortells the dragon trying to decide where it wants to destroy, the mountains, the valleys, the town, or another dragon. Gakupo sings a bit out of tune sometimes, but it doesn’t negate the meaning. In fact, I consider the sudden off key shift as being on the opposing end of the Dragon Claw move. I mean, it’s the only song I found that talked about a dragon destroying things with its gigantic claws, so why not? 03: Psyshock – The user materializes an odd psychic wave to attack the target. This attack does physical damage despite being classified as a special move. It calculates the damage based on the users Special Attack and the opponents Physical Defense. It doesn’t have the option to leave confusion, but it can most definitely affect alternate pokemon next to the user, making it what is known as encroachment. It will even avoid moves such as Counter and Reflect, but activate Light Screen or Mirror Coat. My favorite Pokemon to use this confusing move is none other than my level 99 Alakazam bred specifically for special defense and speed! Well, Psyshock is a debilitating move, and is supposed to confuse and disorient the opponent. But that artist name tho~ One thing I love about Psyshock is that even though it is confusing, it does have a defined form, much like this song. I mean, even the flying lights remind me of the move being used. So maybe this one was based on the visuals of the video and thus music is secondary. It doesn’t make this song any less weird and bright! 04: Calm Mind – The user quietly focuses its mind and calms its spirit to raise its Special Attack and Special Defense. There’s nothing else to it. My favorite pokemon to calm the mind to raise its special moves is Infernape… ok, so it’s not a psychic pokemon, but how can you not use this move to upgrade the already powerful special fire type moves? As calm mind goes in Pokemon, there is a raindrop into water. In my mind, each beat in this song is a drop of calm water on the music. I mean, it’s self explanatory. But it’s about focus. Meditation. I could seriously meditate with this song in my ear! What’s your opinion? 05: Roar – The target is scared off and a different Pokémon is dragged out. In the wild, this ends a battle against a single Pokémon. Basically, it strikes fear in the hearts of the opponent. So expect something viscious! My pokemon of choice for this very affective move on Zubats is Magnetric. Mainly because my Manetric is kinda weak and using him as the electric type of my party effectively halts a dangerous opponent from throwing off my battle plan. What’s scarier than roaring? The freaking zombie made from a diseased mosquito that’s what! Ok, so maybe this isn’t exactly an accurate to roaring song, but it does strike fear into the hearts of many as well as it being screamo- you know, roaring in your ears. Much like a cave of zubats, moaning, or roaring, so that no one gets in the way to complete the mission of survival to change the natural order, to stop the mosquito’s from being targeted by humans. I’m not going to go into the weird tangent I did a long time ago about what if even bugs began to have civil rights, so I won’t. But if you know any other song, let me know! 06: Toxic – A move that leaves the target badly poisoned. Its poison damage worsens every turn. It is a non-direct damage poison type move that can be learned by every single pokemon besides a few. I have a number of pokemon using this move, but if I had to choose a direct Poison type pokemon, I’d definitely choose Salazzle, with her ability to poison metal types, which are a nuisance to poison users. This is one I took liberties with. I couldn’t find a proper toxic song, but also I found this one. Toxic can be used by everyone, and it has a chemistry setting to it. Although it is talking about using every chemical known to man and even God… however she knows that if she’s just a human, I still know that some chemicals do not need to be combined, else the effects could poison the water system, make heat explode, turn air into a toxin, and ultimately kill almost everyone if you’re not careful. So yeah, this one fit the criteria better than the rest of the songs, if you have any other options, tell me in the comments! 07: Hail – The user summons a hailstorm lasting five turns. It damages all Pokémon except the Ice type. Hail is a field move to alter the weather and certain statuses as well as certain moves as well. Hail hurts and is completely unaffected by any sort of move except for those pokemon with weather changing skills, such as Air Current. Personally, Ice types are like crystals to me, fun to raise but a little fearful in battling because I can’t properly breed ice types that well. My pokemon of choice is Fraslass combined with the sacred Ice Punch. Ok, this song may be cute and possibly talk about actual winter rain and snow, but it goes on to mention that the rain is actually in her heart, as thus it hurts much like the pelting of hail against your skin. Not to mention you just think of Ice, which hail is made of, and actually hits you in the gut from how unrelenting the sadness actually is. It passes on at some point, albeit in pokemon it’s 5 turns unless you’re on a mountain. So, yes, I thought a dubstep song would be an alternative for this list. 08: Bulk Up – The user tenses its muscles to bulk up its body, raising both its Attack and Defense stats. A non-damaging fighting type move, it is mainly used as a physical buffer. Hey, I even do it in before I work out. Consider it stretching before a workout… except you really shouldn’t stretch, but warm up… or bulk up! TENSE UP AND FLEX THOSE MUSCLES! I don’t exactly use this move because there are more intensely better moves to work with, but it just doesn’t fit my style. I guess my pokemon of choice is Toxicroak, very formidable if you ask me! If you are a Vocaloid fan and this doesn’t make you move, you’re a fraud… joking, joking- but seriously, Miku is a… dog thing called Pondeloid. This was made for the Miku 10th Anniversary to pump people up for the concerts. I’m not joking, this is perfect even though it talks about donuts just before the rest of the crypton Vocaloids come in to dance with her. I wanna learn these moves, some I can’t exactly do, but I can learn if I get bone replacement surgery! GET HYPED!!! 09: Venoshock – The user drenches the target in a special poisonous liquid. Venoshock inflicts damage and its power is doubled to 130 if the target is poisoned. Venoshock is a potentially powerful move only as long as you have a move that can render the opponent poisoned. So to do this, I usually use Scolipede with the skill Poison Point to poison enemies if they attack. Ok, the move is in the name of it. But luckily, I did a translation check and it came out with words such as “You” and “Venom” – so I automatically assume it’s talking about something even though I have no idea of the context of all of these words I can’t find anywhere to translate. But this is a catchy and hard rocking song fit for a potentially dangerous move, except it really doesn’t become super dangerous until the other is poisoned, which would mean you’d have to have either toxic or used the move twice, which in my opinion really should downgrade the intensity of the song chosen, which is why I went with this one! 10: Hidden Power – A unique attack that varies in type depending on the Pokémon using it. A very intensely variable move that can go along with almost every pokemon as well. The biggest problem with this move, is that it is essentially a chameleon move, so why the heck not give it to my pal Kekleon for the awesome memories of my childhood playing pokemon Ruby, Sapphire, and Emerald! As with most Utata-P songs, he has a subtle way of showing the world and how it truly is in extremely fast, lyrically heavy songs known to dip into politics and religion as well as showing them in gaming format at times, which I think is awesome. Law of Nature is strictly towards the game Mayu is in as the main boss, but with previous songs of Utata-P, I’m suspecting it’s got something more to talk about, which is why I chose this song. Black magic is a hidden power known as selfish magic or world breaking magic, and it is hidden away in a lot of texts and games and often music. And even when I can’t find the absolute true meaning of the song, all the better because it truly is a hidden power song! HM01: Cut – The target is cut with a scythe or claw. This can also be used to cut down thin trees. is a damage-dealing Normal-type move introduced in Generation I. It was HM01 until Generation VII. Cut was always the most natural move a pokemon could use. It’s extremely simple design and ok power and high accuracy gave it a strong competitor to other normal moves. Now, I want to not add in pokemon that were HM slaves because they definitely did exist, so I would simply use Shedinja. When I think cut, I think generic move… and yeah, there are many generic songs like Cut off the Rope and Cut and Paste, but I wanted to brighten you all to have a truly spectacular song for each Hidden Machine we cover. This song, in my opinion, is so lovely and you can feel the sweat that CROWWORD put into this. It tells of a story of a whetstone called the Crow’s Claw, which as you live, it get’s worn down, and that’s the proof you have lived in a world that easily forgets the best when your story cuts someone’s heart. It really is an extremely poetic song, and that’s why it is the seemingly boring spectacle that is Cut! Please, give your thoughts in the comments! I need to know if I’m doing something that you muffins would have ideas on how to do better! Let your mind be free!